Passage of the Grid Transformation and Security Act of 2018 underscores the widespread, bipartisan agreement that energy efficiency is a smart investment for the Commonwealth. 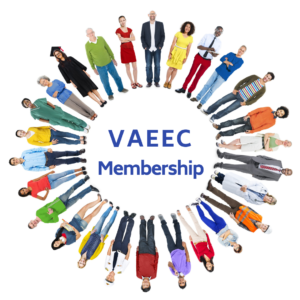 The VAEEC endorsed this legislation because of the tremendous potential opportunities for energy-saving programs that will be provided to Virginians over the next decade, including a combined commitment by the electric utilities to spend over $1.3 billion on energy efficiency programs. Unfortunately, all of that potential could easily evaporate away. 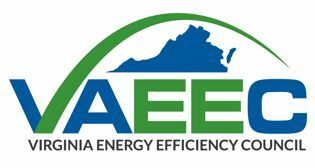 Last month, the State Corporation Commission (SCC) held proceedings to review proposed energy efficiency programs for both Appalachian Power Company (APCO) and Dominion Energy. Dominion Energy filed for approval to extend their low-income program for another five years. 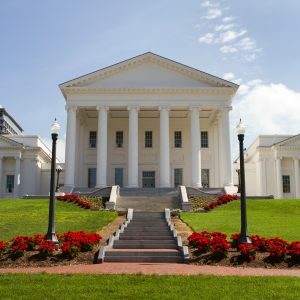 As defined by Virginia law, low-income programs are already determined to be in the public interest so these types of programs do not face as much scrutiny by the SCC. During the APCO proceeding however, the SCC staff recommended rejecting all five of the utility’s proposed residential programs. For three of these programs, the SCC staff stated that the utility had not taken into account new federal lighting standards taking effect in 2020. APCO decided to withdraw one of the programs for consideration due to this change but argued in their rebuttal testimony that the SCC staff’s interpretation of the new standard was incorrect for the other two programs since they would be direct install measures. Meaning, the program contractors would directly install the new LED light bulbs into sockets where incandescent light bulbs currently exist and would not be replacing CFL light bulbs with LEDs, as stated in the SCC staff response. Similarly concerning was the SCC staff’s re-calculation of the cost-benefit tests for APCO’s appliance recycling program renewal, which incentivizes customers in their territory to recycle secondary appliances such as refrigerators. The SCC staff stated that the company miscalculated the cost-benefit tests of this program and performed new calculations, causing the program to fail two of the four cost-benefit tests. According to experts I’ve spoken with, these new test results calculated by the SCC staff for the appliance recycling program are questionable since there is no customer cost for this particular program, therefore, it is unclear how this program could fail the Total Resource Cost Test but not the Utility Cost Test. Below is a table that was produced in a 2014 VAEEC report explaining the purpose of all four tests. You may be wondering what this means, especially since this is all pretty technical, but what it boils down to is this: the substantial commitments to energy efficiency by both Dominion Energy and Appalachian Power Company in the omnibus utility bill will not come to fruition if energy efficiency programs continue to be scrutinized in this manner. To be clear, the VAEEC supports the role that the SCC plays in scrutinizing proposals put forth by the utilities. That is their job and it is an important one. However, they tend to scrutinize energy efficiency programs more so than other proposals- including new power generating facilities. They do not view energy efficiency as a true resource when it comes to planning for future energy needs, when, in fact, it should be viewed as the critical first step. The kilowatt that goes unused is the cheapest form of energy. Allowing utilities to develop robust programs that help all customers make smart energy choices helps reduce the need for new, larger power generation facilities in the future. Energy efficiency isn’t a silver bullet by any means, but it is a valuable tool in the toolbox that should be utilized much more often than it is now. Investments in energy efficiency also mean new jobs in every corner of Virginia. 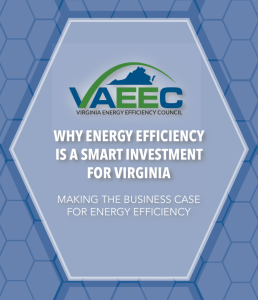 In our report “Why Energy Efficiency is a Smart investment for Virginia,” we found that energy efficiency is a $1.5 billion industry in Virginia that supports approximately 75,000 jobs. Greater investments and growth in energy efficiency means more jobs in the local communities being served- jobs that cannot be outsourced out-of-state or overseas. This is the argument that we have made before the SCC over the last two years. The SCC should evaluate the economic development and job creating benefits that these programs create in the local communities they serve. These same benefits are included in the analysis to build new fossil-fueled facilities, so why wouldn’t the same economic benefits for energy efficiency be factored in as well? Especially given that most of the jobs created by building new power plants are temporary construction jobs whereas the jobs provided by energy efficiency programs are year-round and last for the life cycle of program. The vacant seat on the SCC provides a unique opportunity to unleash the economic potential of energy efficiency for the citizens of the Commonwealth. It is our hope that a new Commissioner is appointed soon and that he or she sees the value and tremendous opportunity that energy efficiency provides. Otherwise, we will be leaving over a billion dollars on the table.